Ahead of the US decision on the Iran nuclear deal, Israeli Prime Minister Benjamin Netanyahu called a news conference Monday to warn the world that “Iran lied.” However some, including the UN’s International Atomic Energy Agency (IAEA), say the provided evidence is dated. 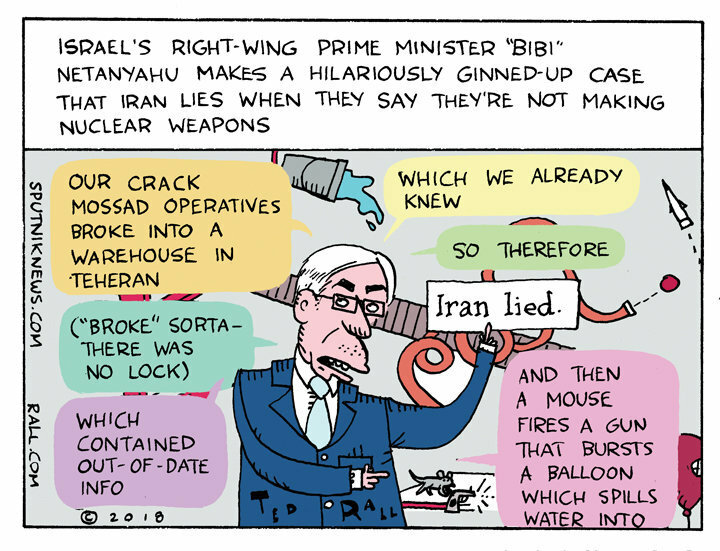 Accompanied by visuals that resembled a project out of a Powerpoint 101 course, the Israeli prime minister slammed Iran for lying about their nuclear capabilities and intentions. In what he described as "a great intelligence achievement," Netanyahu claimed Israel got their hands on "55,000 files on 183 CDs" from Iran's atomic archives. Despite this glaring number, the UN's IAEA wasted no time retorting that there is "no credible indications of activities in Iran relevant to the development of a nuclear explosive device after 2009." With the US expected to make a decision May 12 on whether to withdraw from the historic 2015 deal, Netanyahu prodded US President Donald Trump, who has been vocal about the agreement's terms. "In a few days' time, President Trump will decide on what to do with the nuclear deal. I am sure he will do the right thing — the right thing for the US, the right thing for Israel, and the right thing for the peace of the world," said Netanyahu before concluding the presentation.